VideoElephant is a video content syndication platform offering web publishers, video platforms, OTT/CTV, DOOH, and related media companies access to a vast library of premium video content to grow audience engagement, supplement their own content libraries, and create valuable video inventory. We work directly with world-leading content creators such as Fox, Bloomberg, Euronews, Bonnier, NowThis, France24, and many more helping them distribute their content worldwide. The library spans all categories, verticals, and major languages and currently contains more than 1,5 million short-form videos to which a further 2,500 new videos are added daily. Whether you're a web or mobile app publisher, supplement your own library and add premium, contextually relevant content to all your web pages and apps to build user engagement and create valuable inventory. Continually add fresh and engaging content all through a single partner and commercial agreement. Add highly engaging, premium content to your screens and displays. Help grow your business and customer base by including a vast and diverse library of video content to your bundled solution. Enhance your internal and external communications, make your website and marketing more compelling with professionally produced premium video content. Supplement your content and storytelling with video from some of the worlds leading content owners and creators to engage your audience. VideoElephant offers flexible delivery solutions, so whether you need content daily, weekly, or monthly, we’ve got you covered! We deliver our content using an industry standard MRSS feed. VideoElephant’s platform is already fully integrated with Brightcove and JW Player for ease and efficiency of accessing content. Does VideoElephant provide a player? No. 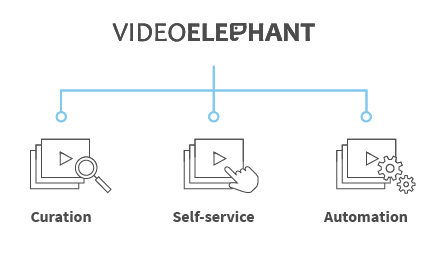 VideoElephant is 100% focused on the supply of premium video content and our customers continue to use their existing video infrastructure/player. We’re already fully integrated with leading OVPs like JW Player and Brightcove but are platform agnostic and can work with any CMS or platform. Who manages and monetizes the inventory? Our customers control and monetize the content provided by VideoElephant in the exact same way they publish and monetize their own content. VideoElephant does not provide any demand or monetization solutions but gets paid a license fee, typically a flat CPM, based on usage. The most widely used method of delivery is MRSS feed. 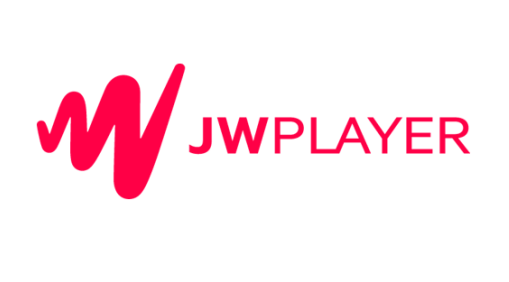 VideoElephant’s platform is already integrated with Brightcove and JW Player so in those cases, the content is pushed directly to the customer’s respective account with that OVP provider. Does VideoElephant also provide hosting and/or streaming services? No. The video file or asset is delivered to the customer and they are responsible for hosting and streaming the videos. What are the typical commercial models and terms applied? The most widely used model is a fixed CPM based on usage (streams) not the number of videos used. How large is the library of content? The library has in excess of 1 million videos spanning 17 verticals and 18 languages. Approximately 2,500 new videos are added to the platform each day. Does VideoElephant produce the content? No. All the content is aggregated from premium content creators and producers ranging from major brands like Fox, NowThis, Bloomberg, France24, Storyful, and AccuWeather to smaller, specialist providers. See more information about our content providers here. Are editing rights included with the licensing agreement? No. The content cannot be edited or re-branded. Are there any restrictions around the content’s usage? By and large, the content is available for monetization (pre, mid and/or post roll) for all territories and devices (desktop, mobile, OTT, CTV, VOD). A very small number of providers have geo-blocked certain territories but otherwise the content is available worldwide.